I Have a Notion recently had a sale I just couldn't pass up. I was able to order the EQ7 upgrade. I have installed it and can't wait to find some time to sit down and play with the new features. A few books were marked down to $4 so they made their way into my cart. 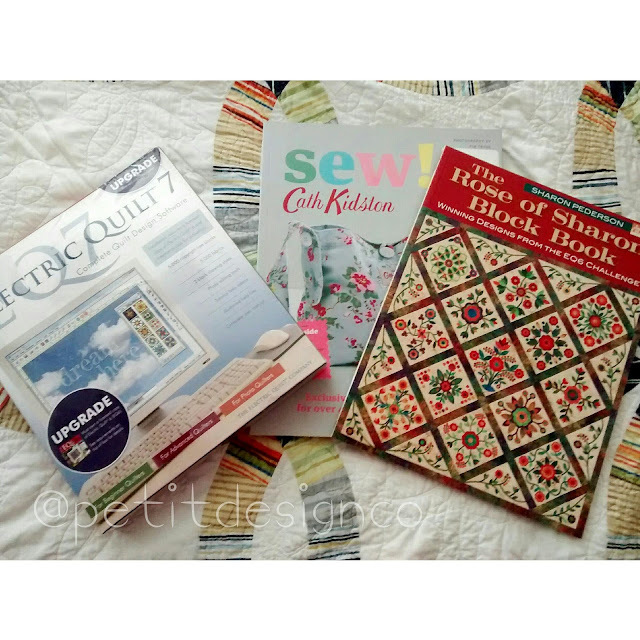 The bag on the cover of the Kath Kidston book caught my eye. I never did get around to purchasing a copy of the "Rose of Sharon" book. It literally jumped into my shopping cart! My contribution is block #68 and can be seem on pg. 59 and 31. 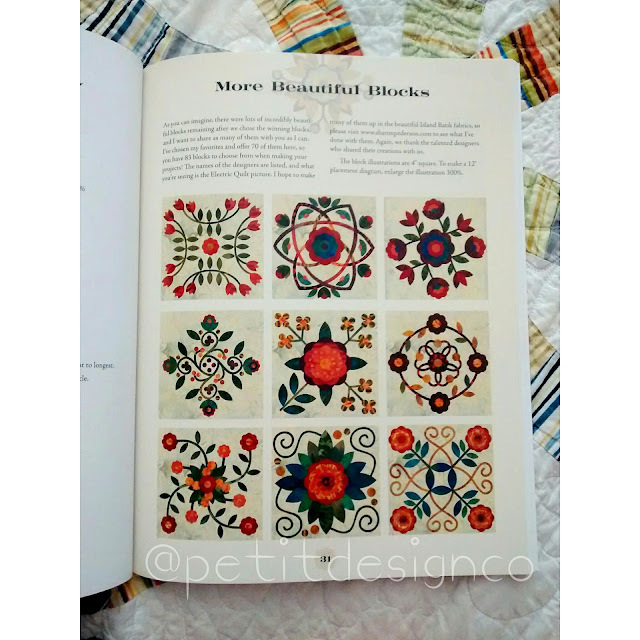 When will I find the time to make such a beautiful and time consuming quilt? The "must make" list keeps growing! 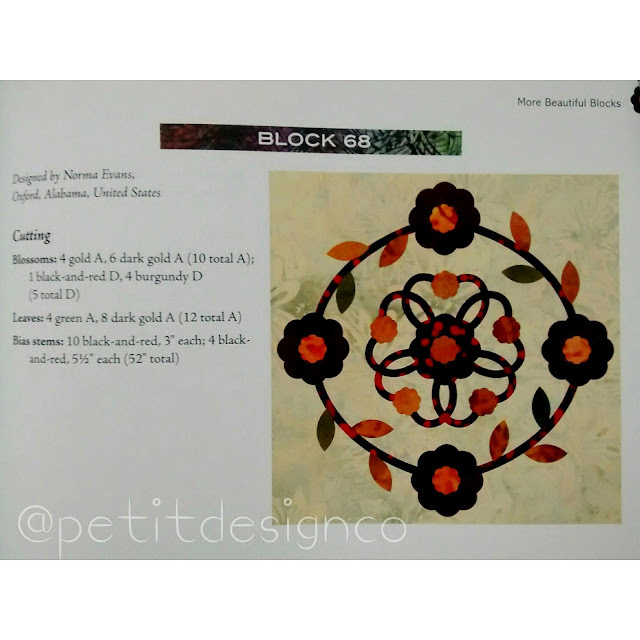 Have you ever made a Rose of Sharon quilt? I would love to see it.